Not sure where to begin? Feeling a bit overwhelmed? Have a new job? Going on a job interview or just looking for a change? 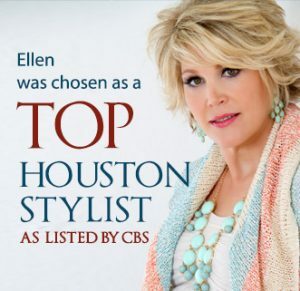 A Personal Style Consultation with E. Caldwell Style can help put you on the path to dressing yourself with confidence! I will take your body measurements so that you can discover your body shape (women only). We will quickly review your existing wardrobe and determine what items to keep, discard and alter (not as thorough as a Closet Overhaul). I will put together new, fully accessorized outfits and take “Fashion Fotos” for your future use. 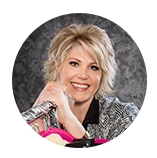 You will receive an itemized shopping list of items needed to complete your wardrobe. I will take the items you wish to discard and donate them to a local charity. Personal Style Consultation Rate: $450 for 4 hours of time. *Please note that depending on the size and organization of your wardrobe, the personal style consultation may have to be completed through additional time or appointments at $95 per hour. There is a 2-hour minimum for additional appointments. 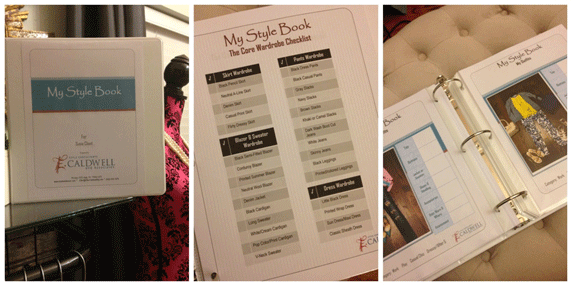 My Style Book is a notebook designed specifically for you! Contents include: Your style profile, Wardrobe Recommendations, Core Wardrobe Checklist, Conceal and Reveal Strategies, Fashion Reference Charts and of course, pictures of your new outfits! It is a great tool to refer to each week.